Bucket List or Dream Inventory? 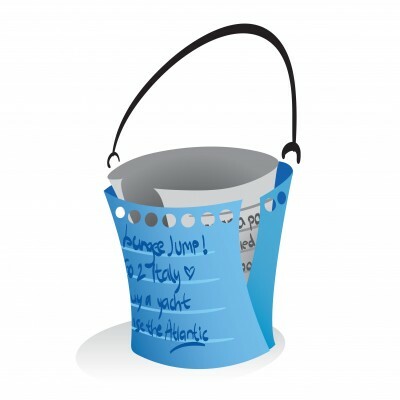 There is a big qualitative difference between a “bucket list” and the Dream Inventory that I ask my clients to produce. A bucket list typically focuses on things you want to do and places you want to go before you die. Often, the list is relatively self-centered. The Dream Inventory includes everything you want to do, want to have, want to become today and throughout your life. It involves family, friends, your “whole person”, character and often legacy. The Dream Inventory most often leads one to a much deeper sense of Purpose, personal vision and service to others – adventure, too – while also sorting out the mundane priorities of everyday life. A Dream Inventory may well include a bucket list, but can be so much more. This entry was posted in achievement, Bucket List, coaching, Dream Inventory, dreams. Bookmark the permalink.